The second class of startups to go through Google’s Launchpad Accelerator Africa programme graduated on Friday in Lagos. Over the course of the three month program, the 11 startups comprising the second Launchpad Accelerator Africa Class engaged with 48 mentors from nine countries – Ghana, Kenya, Nigeria, Senegal, South Africa, Tunisia, UAE, UK, USA. “They have received $110,000 (Ksh11 million) in equity-free funding from Google, and, collectively, the 33 founders, from six countries, have created 253 jobs and raised over $12 million (Ksh1.2 billion) before and during the program,” says Folagbade Olatunji-David, head of startup success and services, Launchpad Accelerator Africa, Google. Among the 11 startups that participated include AppZone (Nigeria), Chalkboard Education (Ghana), Cloud9xp (Kenya), EzyAgric (Uganda), Formplus (Nigeria), Medsaf (Nigeria), Mintrics (Egypt), PayGo Energy (Kenya), Pineapple (South Africa), Preeva (South Africa) and Thank U Cash (Nigeria). Launchpad Accelerator Africa was announced in July 2017 and will run until 2020, including two intakes of 10 – 12 startups per year, representing an investment of $3 million (Ksh300 million) in equity-free support, working space, and access to expert advisers from Google, Silicon Valley, and Africa over the three years. Participants also receive travel and PR support during each three-month program. “The growth of entrepreneurship in Africa is critical to the survival of our continent. We’re currently as a region creating about three million jobs per year while more than 11 million job seekers are entering the market. 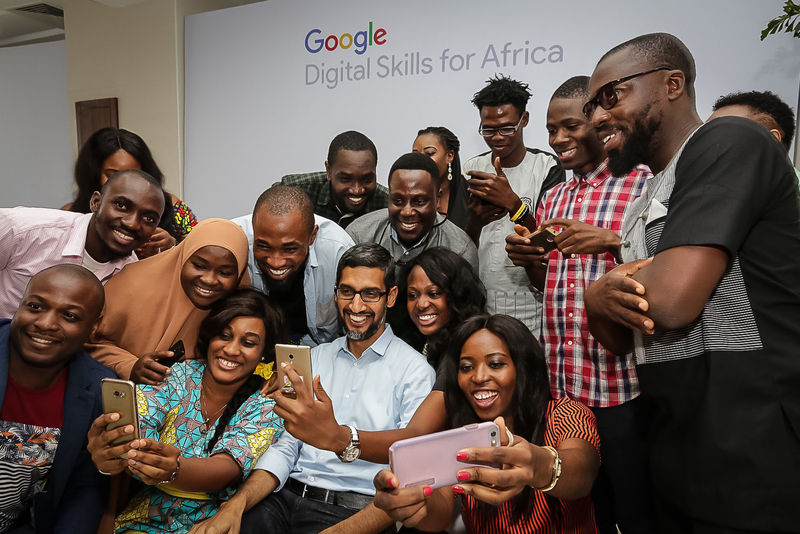 Google believes that empowering entrepreneurs and startups is essential to drive employment growth, and enable both economic and social development on the continent,” says Olatunji-David. Startups in 17 countries across the continent including Algeria, Botswana, Cameroon, Côte d’Ivoire, Egypt, Ethiopia, Ghana, Kenya, Morocco, Nigeria, Rwanda, Sénégal, South Africa, Tanzania, Tunisia, Uganda and Zimbabwe are able to apply to participate in the program. The next class will open in 2019, and interested startups can see when applications open at Google Developers Website. Next article Is KPC Colluding With Oil Marketers To Sell Adulterated Fuel And Declare Losses? Is KPC Colluding With Oil Marketers To Sell Adulterated Fuel And Declare Losses?